Former Marquette basketball star and New York Knicks first round draft choice Dean Meminger is in critical condition in the burn unit of a New York hospital. Apparently, Meminger accidentally lit himself on fire with a crack pipe. “Dean the Dream” was a high school star in New York city. The New York Times once compared Meminger to Kenny Anderson, Stephon Marbury and Felipe Lopez as one of the Big Apple’s all-time great prep stars. Meminger was then a college basketball legend, playing under Al McGuire. Marquette had a perfect 46-0 record at Milwaukee Arena during Meminger’s career. They finished an undefeated 26-0 during the regular season of Meminger’s senior year, making it to the second round of the NCCA college basketball tournament. Meminger led Marquette in scoring that year and his junior season as well when he was named NIT MVP. 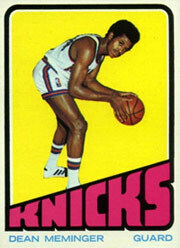 Following his college career, Meminger was a first round draft pick by the Knicks in the 1971 NBA Draft. 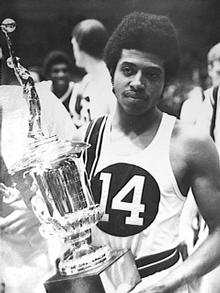 Meminger was the Knicks third guard during the 1972-73 season when they won an NBA Championship. He backed up the Hall-of-Fame backcourt of Walt Frazier and Earl Monroe. NBA coach Phil Jackson once credited Meminger for the Knicks ’73 championship. Meminger shut down Boston Celtics star Jo Jo White in Game Seven of the 1973 Eastern Conference Finals. Jackson called Meminger’s defensive effort in that game “a signature performance” in Knicks history. Before that game, the Celtics franchise had never lost a Game Seven. However, during the ’70’s, Meminger became addicted to cocaine and alcohol. He was out of the NBA while still in his 20’s because of substance abuse and battled addiction for decades. Sadly, Meminger’s addiction didn’t just cost himself this weekend. According to the New York Post, dozens of people were left homeless because of a Bronx fire started by Meminger’s crack pipe. The blaze was so intense that more than 200 firefighters were called in to fight it. This entry was posted on November 24, 2009 at 11:13 pm and is filed under college basketball, NBA. You can follow any responses to this entry through the RSS 2.0 feed. You can leave a response, or trackback from your own site. best guard ever out of marquette, i played against him once in a pickup game and he blew past me baseline and dunked so fast,all I seen was the CHUCK TAYLOR ALL STAR PATCH. It’s me, Rick, the trainer for your World Champion New York Stars. I’m trying to get a hold of you. If you get this, give me a ring at 619-595-0718. I’m in San Diego now. We had a blast, didn’t we?